Thursday night, Alamo Drafthouse kicked off its eighth annual Fantastic Fest — a celebration of films horrific, mind-bending and proudly bizarre — with the premiere of Tim Burton’s newest animated feature, Frankenweenie. The global premiere attracted a large audience hoping to catch a glimpse of the stunning Winona Ryder or the legendary Martin Landau or the eclectic director, who were each on hand for the evening’s proceedings. 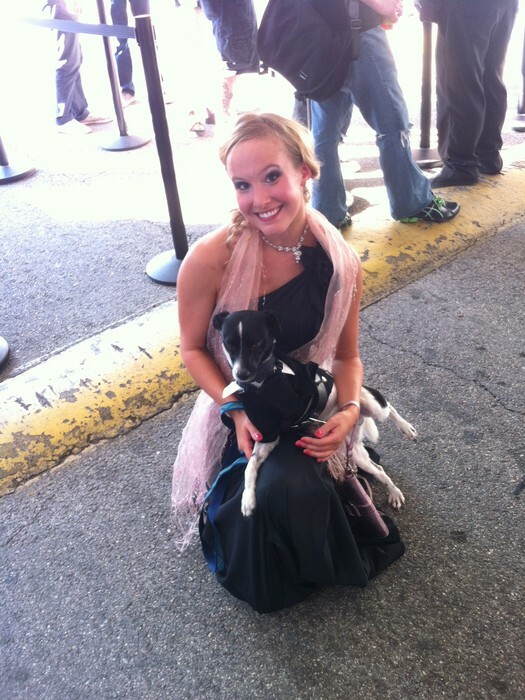 Some, however, were there to show off their costumed dogs, which were dressed just as formally as their owners. 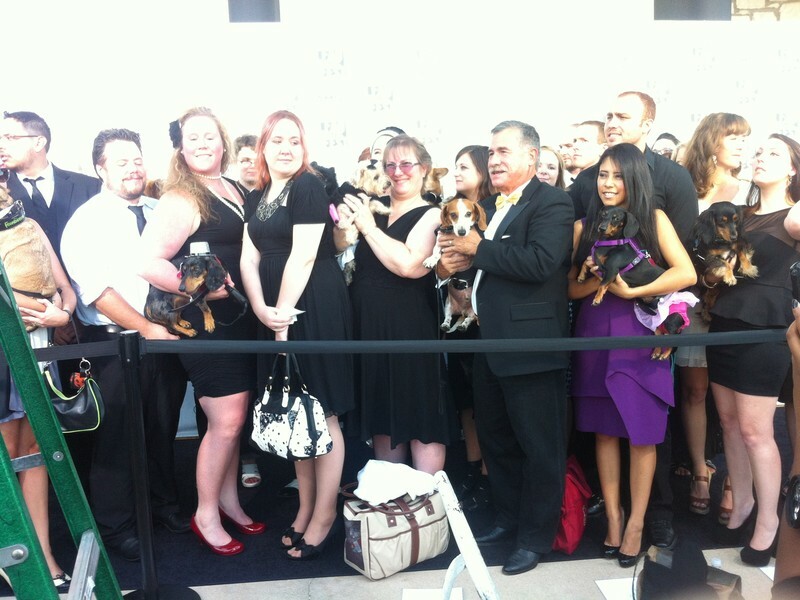 As it turned out, the pets were not only welcome at the black carpet event but also invited to stay and enjoy the movie. 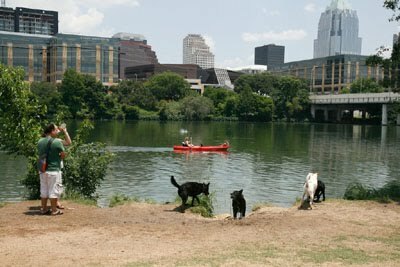 Alamo, with their usual oddball progressiveness, reserved one of the South Lamar theater’s screens as a canine-friendly space. 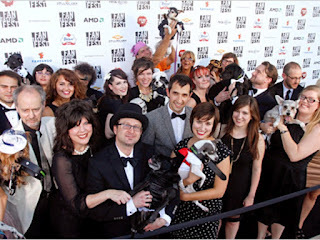 “The first ever doggy theater,” Alamo co-founder Tim League called it. Unaware that invitations had been extended to pooches, and as a late arrival to the festival, I ended up stuck in theater four, with the pups. Dogs in a movie theater. Sounds like a novel idea on paper, but it can’t possibly work, right? The pups were on their best behavior, almost completely adhering to Alamo’s tight restriction on talking, or as the no-talking warning indicated in this case, barking. Well, yeah, it can, actually. The pups were on their best behavior, almost completely adhering to Alamo’s tight restriction on talking — or as the no-talking warning indicated in this case, barking. And when the few did bark, it almost seemed welcome, like an extra punch added to a joke. Maybe the Drafthouse was on to something. Three attendees, Leslie Davis, her daughter Cameron and their terrier, Lincoln, seemed to think so. “It was great,” Davis began, “I think Lincoln really enjoyed it. I was surprised, but I have four children, so he’s used to the rambunctiousness.” She must be right; he hardly let out a single whimper through the whole movie. Rather, he sat calmly in his owner’s lap, appreciating the movie along with the rest of the crowd. Cameron, a cute 10-year-old in thick-rimmed glasses, was set to audition the night of the premiere, creating an unfortunate scheduling conflict. Luckily for her, the play’s director is a Burton admirer as well, and considering the opportunity, allowed her to reschedule. Cameron, her mother and many other dog owners were thrilled to watch a movie in a theater with their pet. Considering how disastrous it could have been, it was exciting to see how completely successful the idea was. Was this just a one time thing?